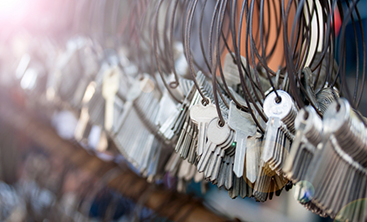 In our Destin Locksmithing blogs, we’ve mentioned a time or two all the myriad uses for keyless entry, as well as the benefits they can bring to your home, vacation rental, or business. As a quick refresher, keyless entry locks are, generally speaking, a replacement for both knob and deadbolt (or just the deadbolt) and require a passcode or a specific series of button pushing to be permitted entry. The perk here is that you eliminate the need for keys or swipeable security cards to open the lock. They add additional security to any door on which they are installed. And, for those who own a vacation rental property or business here in Destin or Panama City Beach, keyless entry systems are a great way to allow guests or employees entry on a selective basis. Many keyless entry systems allow you to change the access code as frequently as you choose so you can rest assured that an old code won’t allow a visitor reentry weeks after they stayed in your rental property. 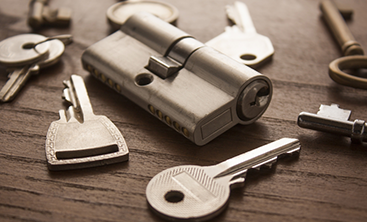 If you’ve done any research at all into keyless door locks, you’ve probably noticed that there are a wealth of different options to choose from. 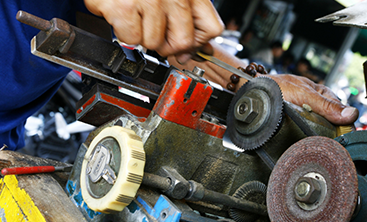 Instead of simply picking the one you think looks best, learn more about the different styles and what they do. This sub-set of keyless entry locks tend to be the most simple of all the keyless entry system options, but is no less effective for its simplicity. The push button keyless door locks have a rectangular pad with a row or a few rows of numberless buttons. In order to disengage the lock, you can program in a single code or a set of them and, in order to get in, visitors or employees must push the buttons in the correct order. They can be re-programmed and are battery operated, so you will need to change out the power source occasionally. Many of the push button keyless entry options also have a key enabled option as well, for backup purposes, and are narrow for thin door frame installation. 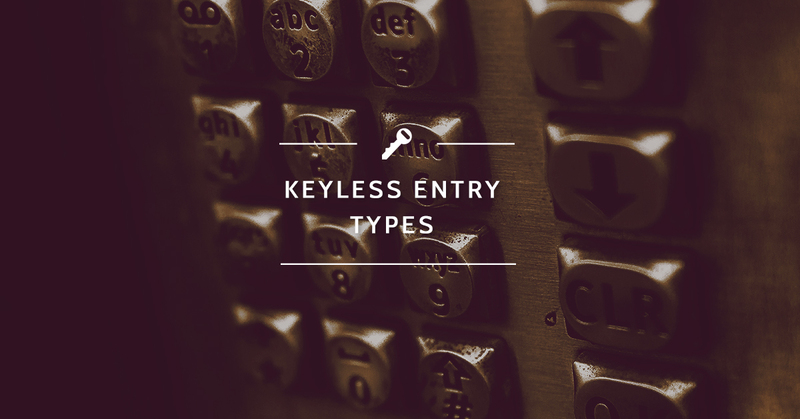 There are two notable differences between the push button keyless entry options and the numbered. The first, as you may imagine, is in the name; numbered keyless entry have number pads on which you create a PIN number (or multiple) to allow entry. The other big difference is that many modern number-pad operated keyless entry systems are connected via a wifi connection so you can access and control them remotely. This is an especially handy option for businesses, as you can see a log of when and how often the code was used to disengage the lock. In addition, most of the number pad keyless deadbolt options are remotely programmable and can handle multiple codes at the same time. This way, if you own a vacation rental, you can have a code for your family, one for your property manager or cleaner, and a rotating set for guests. If you’re ready to install a keyless entry for your Panama City Beach or Destin home, call Destin locksmithing today to get started!